There is nothing sweeter than the smell of warm spices filling up the kitchen. 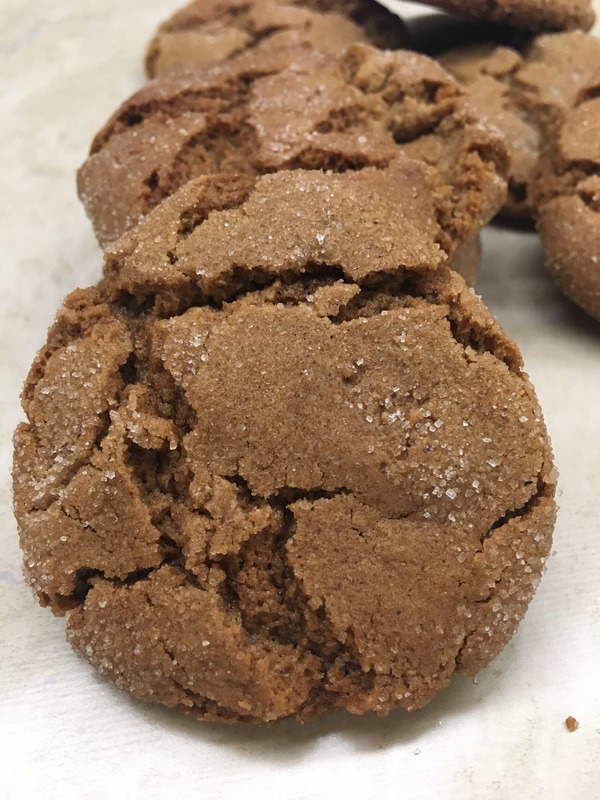 Molasses Gingersnap Cookies will do just that. This recipe will make at least 3 dozen cookies, making the cookies a great gift for friends and family around the holidays. I love easy recipes, and this is one of them. 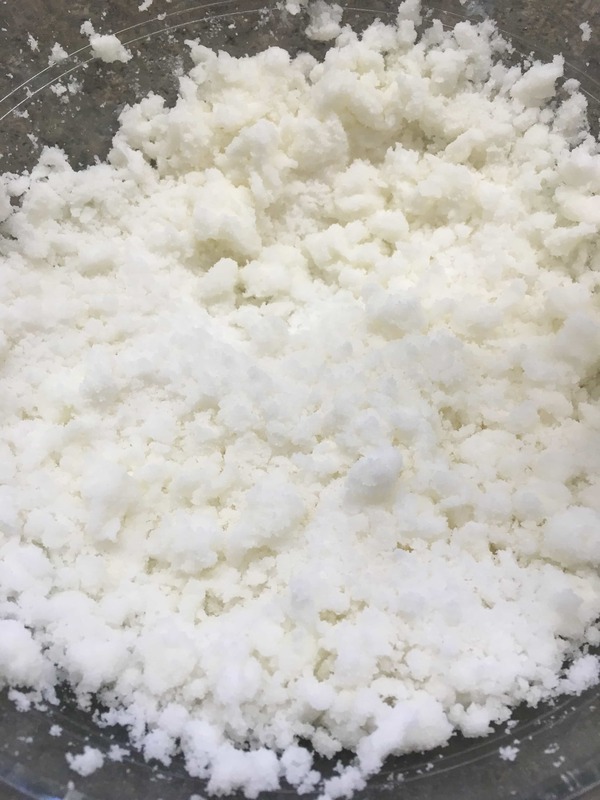 Recipe and instructions are listed at the bottom of the post. Get started with the sugar and shortening. Mix the two together. Add the eggs and continue to mix. Next, add the molasses. It almost looks like oil going into the bowl! 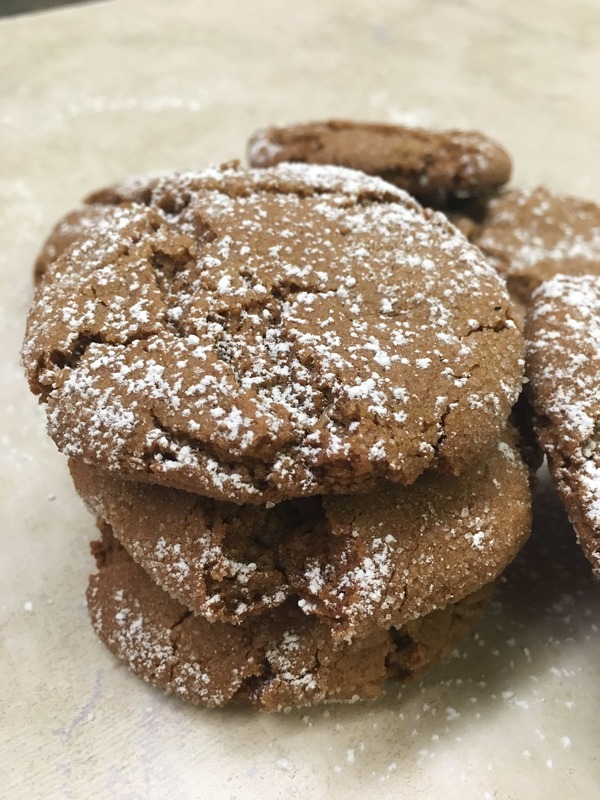 Molasses is a great addition for the gingersnap cookies, making them so much richer. Add the flour, spices, and baking soda to the bowl and mix. 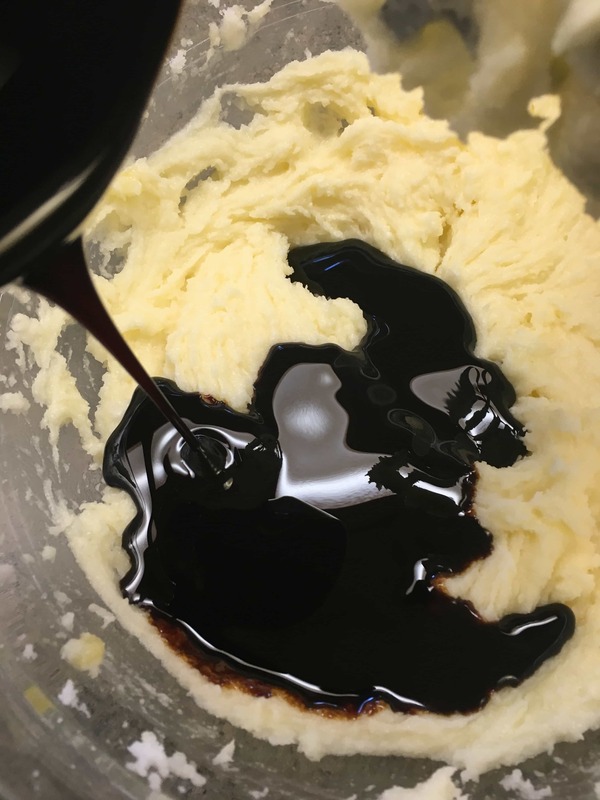 Unless you have a Kitchen Aid type mixer, you will have to finish mixing by hand or every bit of the batter will stick to your beaters–speaking from experience – wink, wink. 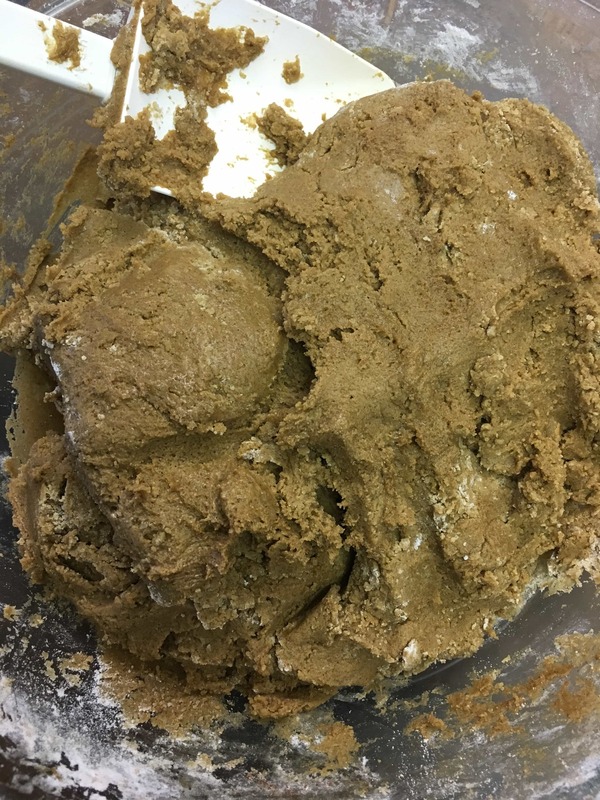 It is a thick batter. 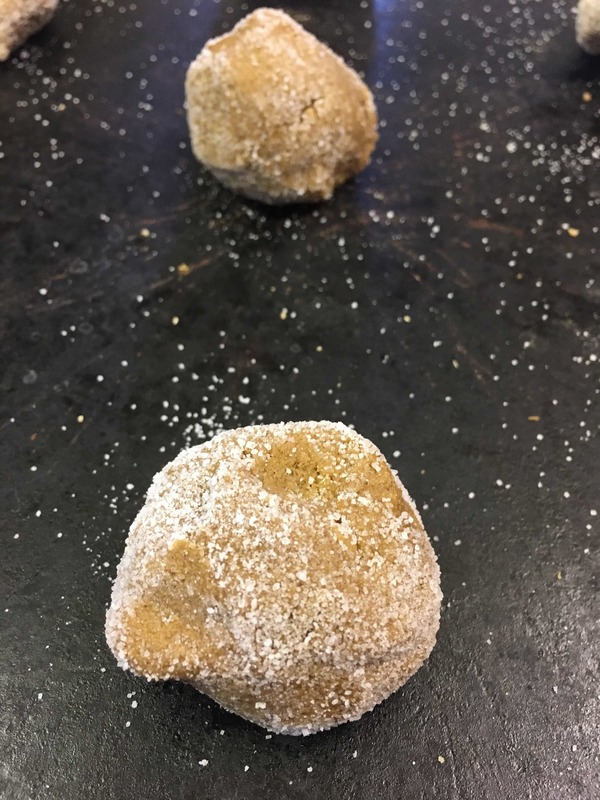 Roll the dough into 1-1/2-inch balls, roll in some sugar, and set on the cookie sheet. This recipe makes a lot of cookies, so I broke out three cookie sheets. Two of them are stoneware and the other is a metal pan with a silicone mat. I have to admit, I really like the way the stoneware cooks. 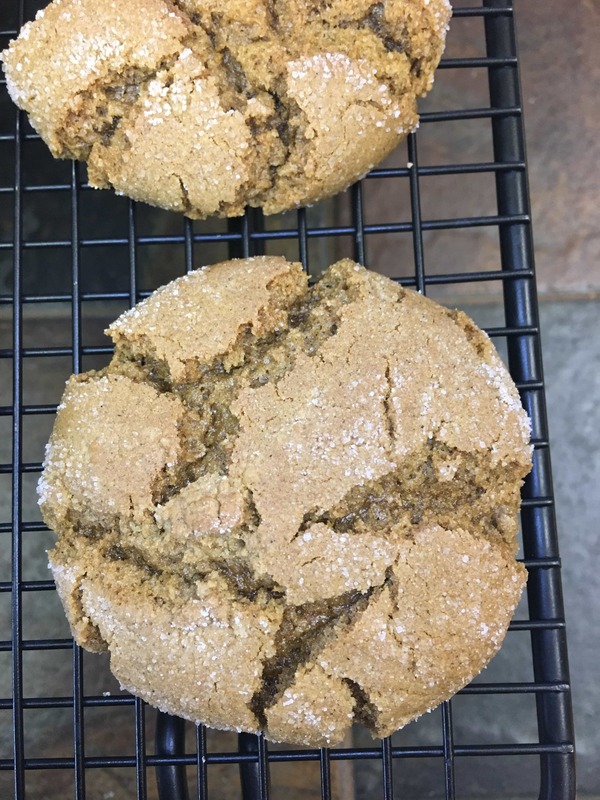 The cookies have a tendency to burn on the silicone mat faster than the stoneware. I think the stoneware cooks things more evenly. Just my take on things. If you use a silicone mat, bake the cookies for about 11 minutes. If you’re using a stoneware pan, bake for approximately 13-14 minutes. Keep an eye on them, because they can burn fast on the bottom of the cookie. Aren’t they gorgeous? I had to run an errand after I baked the cookies and when I returned I was hit with the smell of fall. I wanted to stand in the kitchen and just sniff the cookies. You can add some powdered sugar on top to make the cookies even prettier! Wrap them up in some cellophane and take them to teachers, neighbors, family, or friends for the holidays. Mix 2 cups of sugar and the shortening in a large bowl. Add the eggs and continue mixing. Add the baking soda, cinnamon, ground ginger, cloves, flour and mix. (Unless you have a large mixer you will need to finish mixing the batter by hand. It will be very thick). Roll into 1-1/2 inch balls. 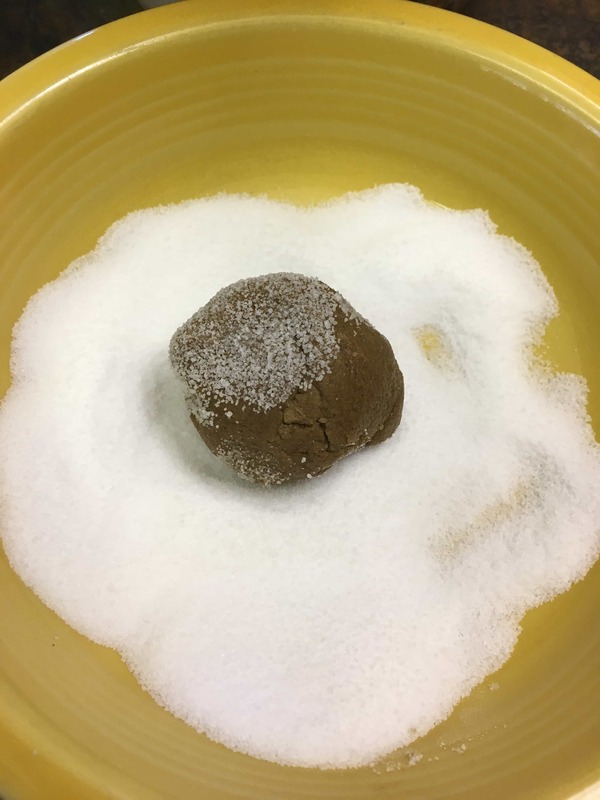 Add the 1/2 cup of remaining sugar into a small bowl. Roll the balls in the sugar and place on cookie sheet. Place approximately 2-inches apart. 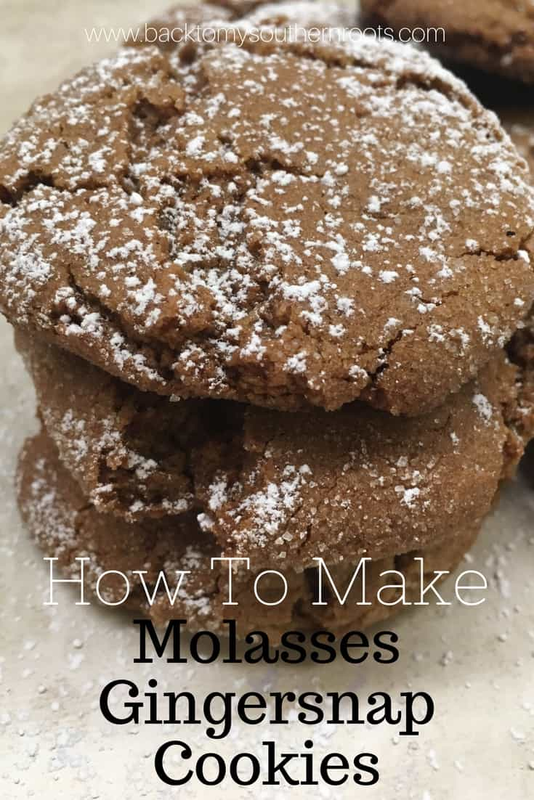 I love making recipes using molasses! These look absolutely amazing. Hi Julia! Thank you! I love making things with molasses, too! It’s sooooo gooood!